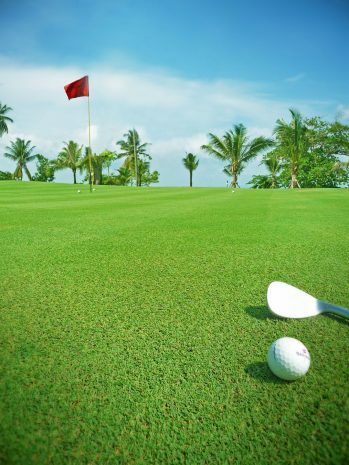 For guests who are interested in taking in all that our golf resort Krabi has to enjoy, we are offering a special So Golfer deal that allows you to indulge and unwind comfortably in our luxurious rooms as well as easy access to our golf green through an organized and personal transfer all in one booking. All the fees regarding use of the green is also part of this exclusive package. Moreover, stay a minimum of 3 nights, and get 15% off on Food and Beverage, 10% off for any island excursion by hotel speedboat, and a 2-way transfer from Krabi International Airport. The Sofitel Krabi Phokeethra Golf and Spa Resort, is world renowned for some of the most beautiful hotel grounds in the entire Asia Pacific region if not the world. We take pride in being one of the top luxury hotels in Krabi, boasting incredible facilities such as lush tropical gardens, one of the largest lagoon swimming pools in Thailand, and a gorgeous golf course Krabi has ever seen. Our golf course Krabi is one of the key reasons we are one of the best resorts in Krabi as it boasts a high quality 9 hole golfing facility with impeccable service, diverse terrain as well as its breathtaking views. 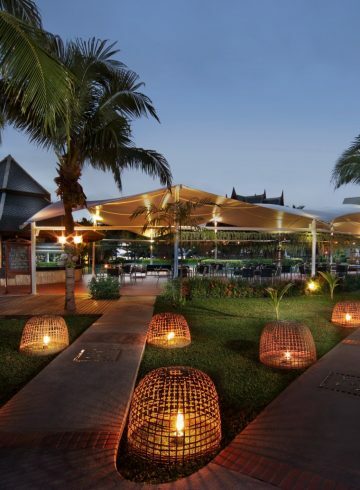 The facility is located next to the immediate hotel grounds, on the edge of the stunning Klong Muang Beach which is nearby to the spectacular Naga Head Mountain offering some of the best sights Krabi has to offer. The course is thrilling with its challenging fairways and diverse range of terrain, making sure the experience is always one that is exciting. With all of Sofitel Krabi’s brilliant facilities only right next door, golfers can treat themselves to a delicious after-game meal offered at one of our many restaurants or unwind with a relaxing treatment at our Krabi spa. Most importantly, with this offer you can be sure to end the evening on a high with a comfortable and rejuvenating stay in one of our rooms for the night, guaranteeing a fresh morning ready for wherever the day might take you.